I honestly tried to like this book. I did. I know a lot of readers enjoyed this and even gave it a high rating but reading chapter after chapter of the same thing, I gave up. I thought that maybe something near the end would bump up my rating to 2 stars but I found none, unfortunately. Even if I didn't like Heartbeat to the point where I wrote several angry notes in my Kindle, I will do my best to explain why in a constructive manner. The thing is I like the theme of the book but the writing made it hard for me to connect with the story. Emma is grieving the loss of her mother who's kept alive by machines for the sake of saving her unborn child. I understood the pain she's going through and why she's always so angry and mean. Grief changes people and it's different for everyone. My problem is, for 90% of the book, that's all that happened - Emma being angry and mean. Everything felt so repetitive that by the time the story was coming to some sort of resolution, a chunk of the book felt pointless. Emma goes to the hospital with Dan, her stepfather. On the car ride back, Dan attempts to have a conversation. Emma says something mean and storms off, locks herself in her room. Goes to school but doesn't really go to school. Talks to Olivia and/or mopes. Goes back to the hospital with Dan. It's depressing. Really depressing. In fact, it's so depressing that it took me a while to finish the book. There was too much hatred that the romance didn't really make sense to me. It felt forced. Caleb was the only one that made the slightest bit of difference in Emma's routine. It's great that she had a different outlet but there was just too much of the same Dan/baby/mom drama for the romance to take off smoothly. When Emma finally came to her senses, it happened so fast that it didn't feel convincing. All the hate can't suddenly disappear like that. Or almost. Emma still had a lot of issues to work out in the end but at least she was beginning to pick herself up. I just wish the character development happened earlier and slowly. The change would've probably felt more authentic. And the book might've been less tiring to read. Sorry this one was a letdown. I'm hoping this one isn't too bad. 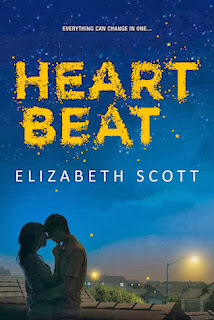 I really liked the first Scott novel I read, but maybe her contemporary romances aren't the best. Great review!